FAQ: Why Is It Better to Move to a CCRC Sooner Rather Than Later? The majority of senior living experts agree that the best time to move to a Continuing Care Retirement Community (CCRC), such as The Knolls, is well before you ever need any daily assistance. There are key reasons for this recommendation, all of which will benefit your physical, financial and emotional health. In addition to the independent living offered at Continuing Care Retirement Communities (CCRC), assisted living and skilled nursing options are also provided. So making plans to move to a CCRC before you may need healthcare services means having a secure plan for the future. Residents of The Knolls, for example, can opt for a Modified Contract or a Modified Fee-for-Service Contract which will both ensure that you’ll always have access to the services you need, whenever you need them, right from the start. Another reason for moving to a CCRC early on is the ability to take your time in considering all the options and making informed decision. Waiting until a crisis to make a decision can mean making a rushed one, or requiring family members to make it for you. By starting your planning process early, you can choose the CCRC that best suits your lifestyle. Sure, you can mow the lawn and rake the leaves, but does that mean you want to? Of course not! 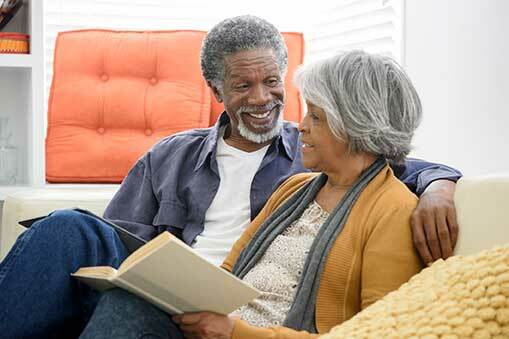 Moving to a retirement community early means you’re able to stop spending time on house and yard maintenance, and start spending it on things that truly matter. Many residents of retirement communities continue their careers while living at CCRCs. In fact, moving to a CCRC makes it easier to further your career, since you’ll have more free time. The process of selling a house is often a long one. From reducing clutter, making repairs, and home-staging, there’s a lot to do before your house even hits the market. By starting the process early on, you will have access to all the services and amenities of a CCRC before you need them. In addition, when you choose to move to The Knolls, you’ll have the opportunity to work with Premier Transitions, a provider of senior relocation services. They’ll manage every aspect of the sale – downsizing, repairs, pricing, professionals, and more. They’ll be there to help you every step of the way. For more information about the benefits of moving to a retirement community, give The Knolls a call at 914-468-4728, or visit us online to request your free information kit.